It started as a simple pillow fort. Then it got out of control. First it took over the house, then the yard, then the whole block. It was the fort we all got grounded for, and it was worth it. Love it! Especially the tunnel under the grass! This happens in my house! My kids become rabid, slavering wolves once they have their fort/territory to defend. And then they get grounded. This book sounds like all the kids are cooperating. That's something I'd like to see. Love it! Architects should start designing houses like a little kid's forts. I would be much more excited to walk in the door at the end of the day. I'm such a hypocrite, I totally yelled at my kids this week for destroying the basement with a stupid fort. We dug an underground fort in an abandoned lot with mutiple rooms and tunnels. We got grounded too when our neighbor's tractor fell in and he had to get several more tractors to pull it back out. Wow! That's an epic fort story! Lucky you weren't in it when the tractor fell in! Very true! We did have a jar full of money that we all had been contributing too that we never recovered. Someday I will return to that field and dig it up like Indiana Jones. That sounds like a great cross-over picture book with Tractor Troll! 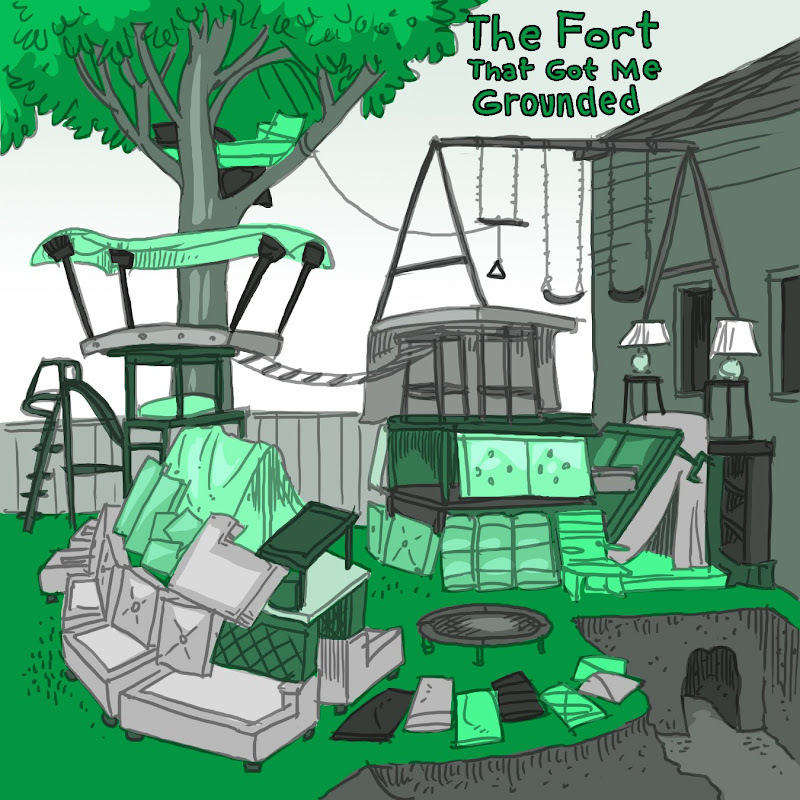 I think "The Fort That Got Me Grounded" is my new favorite!